It's not to late to stop the suicide mission the GOP seems to be headed on with a Donald Trump nomination. Donald Trump as the nominee would not just lose the general election in a landslide and take the U.S. Senate with him, but the damage done to the Republican Party could take a decade to rebuild and repair itself to becoming a viable major party again. It is obvious now, the only candidate left on the GOP side to stop this disaster is Senator Ted Cruz. It is time now for John Kasich to exit the race so that the real conservative Republican silent majority can unite behind Ted Cruz to deny Donald Trump the 1237 delegates needed to win the nomination before it gets to Cleveland in July at the Republican National Convention. 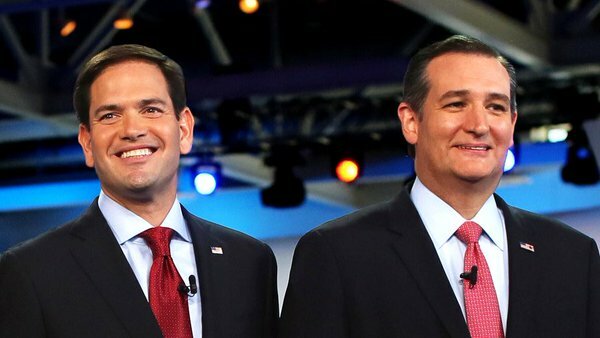 I think it is time now for Senator Cruz to make the unity team that will not only guarantee that this goes to Cleveland in a contested convention, but I think guarantee that this team will be the GOP ticket that the convention selects as the nominees for president and vice-president. As of this writing Donald Trump has 680 delegates and Senator Ted Cruz has 424 delegates, which looks like a pretty big lead. But then if you could add Marco Rubio's 166 delegates to Cruz' total it would be all of a sudden be Trump 680 to Cruz 590 and they would be neck and neck. Then with primaries and caucuses that are almost sure to be split in the future, that would guarantee neither Trump nor Cruz would go into Cleveland with the 1237 delegates needed to win and it would also mean that neither candidate would have a huge lead in delegates [like 500-600 that Trump has been talking about] over the other one. In that scenario I think it is very clear the delegates at the convention, after numerous ballots, will give the majority to the only one of the two candidates who would have a chance to win the general election against Hillary Clinton, and that candidate is Ted Cruz. Shortly after Cruz is nominated as the GOP nominee for president, the delegates will nominate Ted Cruz' choice, Marco Rubio, as the vice-presidential nominee. As I am thinking this may be the only chance to stop the disastrous Trump train wreck, I am all in for the Cruz/Rubio ticket. Also, selfishly, if this did happen and they were elected in the general election in November, how many people in the world can say they have pictures with both the president and vice-president of the United States? 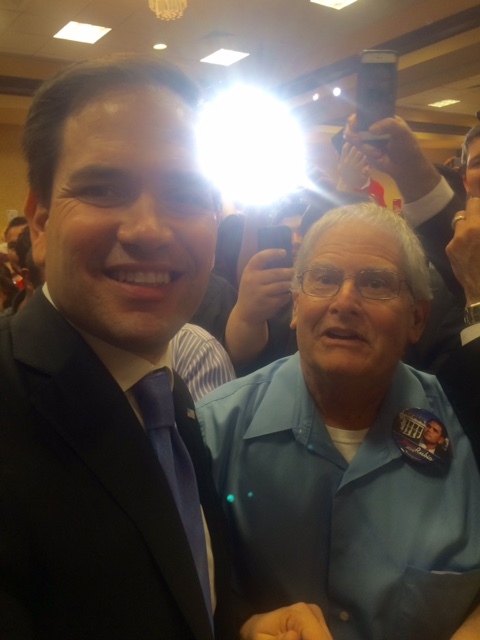 Tales with the 2016 GOP nominee? Tales with the 2016 GOP VP nominee? Your are right, big Mike. But, Cruz still thinks he can Win it with out any help.